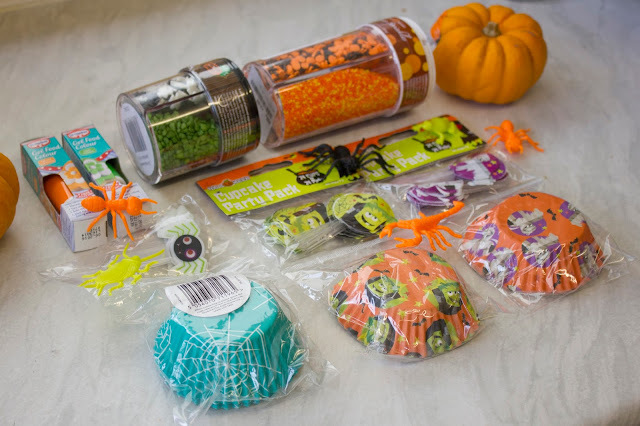 Hello lovelies, I have been super busy preparing for halloween and part of that preparation included making these fun halloween cupcakes for our party. I used a basic vanilla cake recipe and brought some cute halloween themed decorations, gel food colouring and cupcake cases. 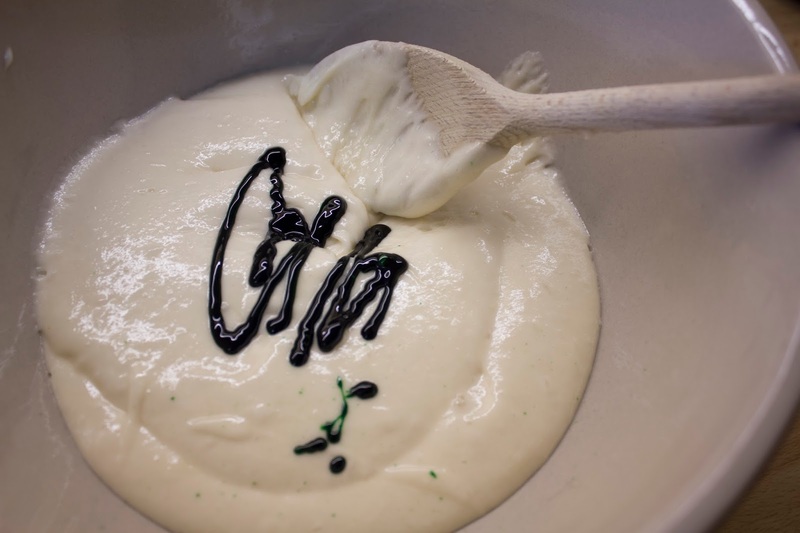 The first thing you need to do is put all of your ingredients into a bowl and mix them together, either with a wooden spoon or electric whisk. As I wanted the actually cupcake to be coloured I split the cake mix and added some of the gel colouring until I was happy with the colour it produced. 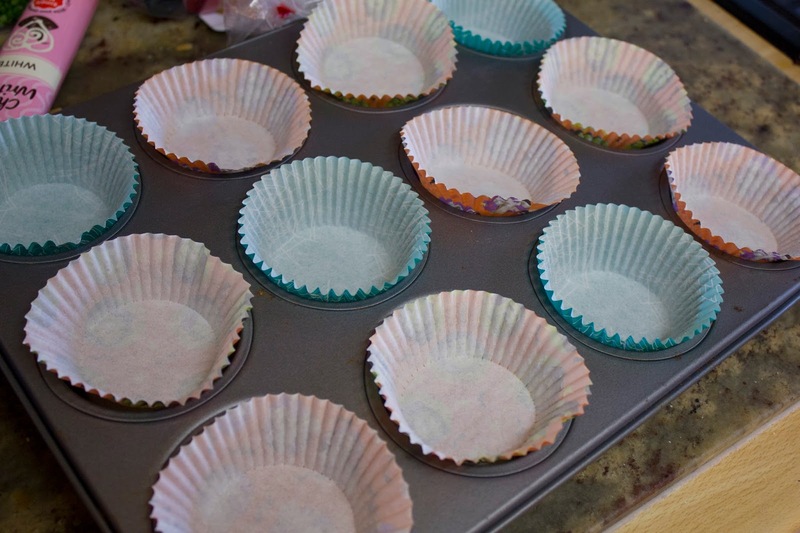 You then want to put your cupcake cases ready onto your cake tin and start putting an even amount of mixture into each of the cases. Depending on what mix you have used the oven temperature and cooking time may vary. 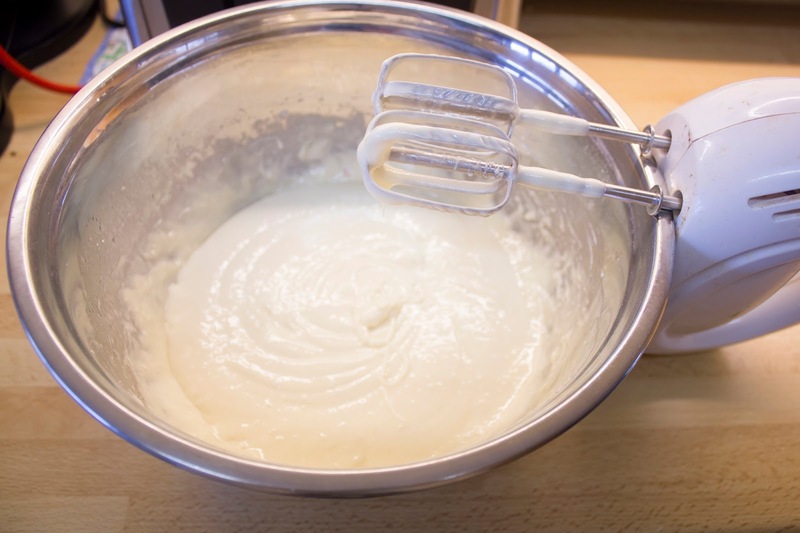 To test whether your cupcakes are done you must dip a knife into the center of the cake and if it comes out clean this means that it is done, if there is wet cupcake mix on it still they need longer. 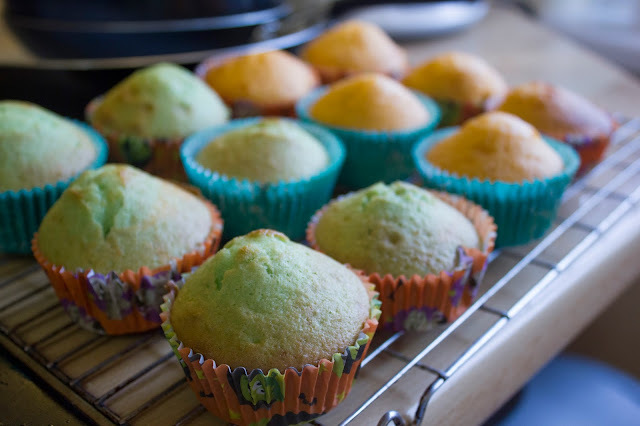 You can then put your cakes onto a cooling rack and must wait until they are completely cold before you can start icing them. Once your cakes are cool you will need to make some frosting I made butter icing mixing butter and icing sugar together until I was happy with the flavour. 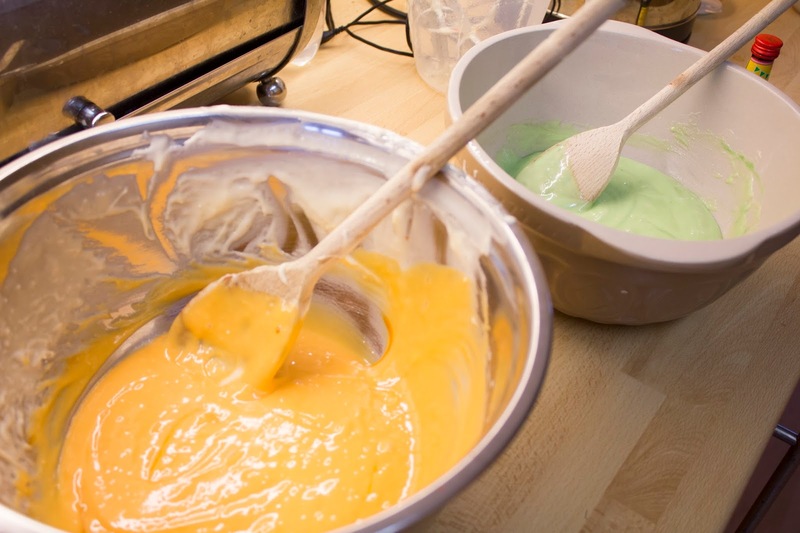 I also added a tiny drop of vanilla extract and food colouring to make the icing more halloween themed. 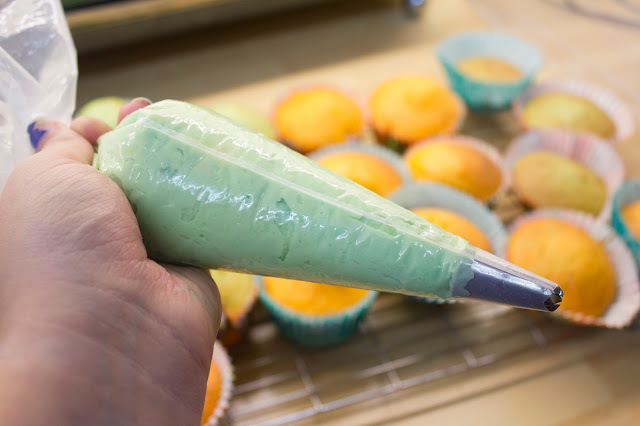 I then pixed my nozzle and put it and the icing into my piping bag and began to decorate. You can easily experiment with the piping bag, creating different designs and patterns. I also used my different sprinkle decorations and these cool candy eyes. 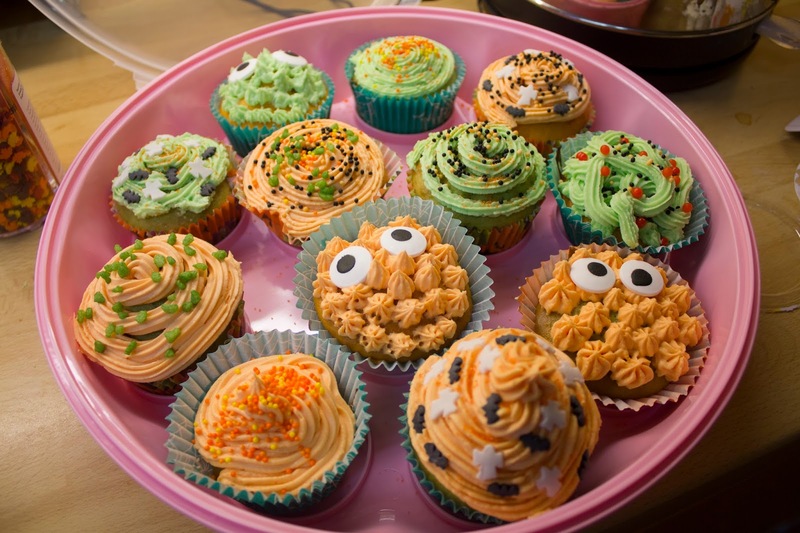 Once you have finished decorating your cakes they are ready to eat! 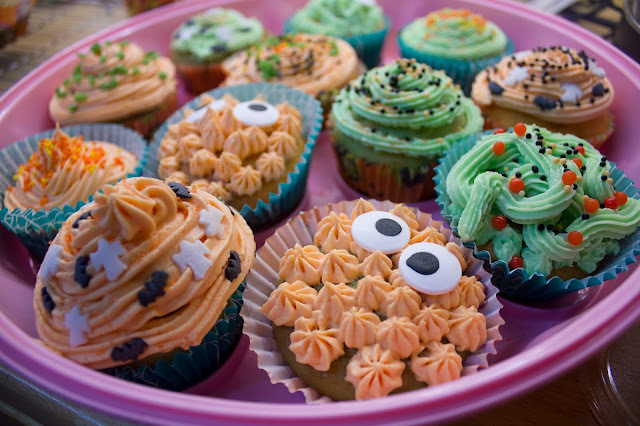 I hope that you enjoyed this post and maybe try making your own halloween cupcakes. 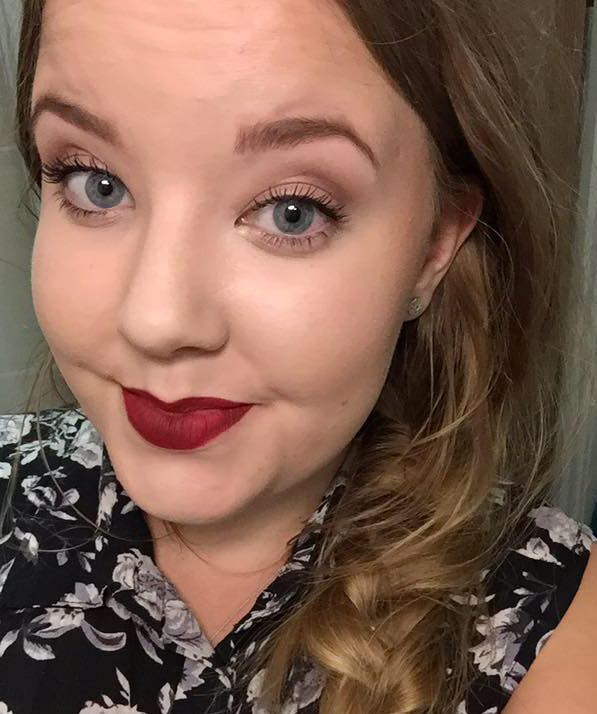 Stay tuned for more posts like this.